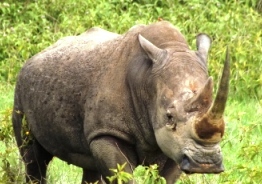 Depart Nairobi early this morning crossing the border and arriving in Arusha for lunch, or join this tour in Arusha. After lunch drive to Tarangire National Park. Your lodge is set well inside the Park and you will have a chance to look for elephant, buffalo and other game on your way there.Overnight: Lodge of choice. After morning drive and breakfast drive across the wheat plains of Karatu with lunch at Gibbs Farm for a farmhouse lunch at Gibb's farm. Arrive at your lodge in the early evening. Overnight: Lodge of choice. A full day is spent game viewing in the incredible natural conservation area on the crater floor. Overnight: Lodge of choice. A visit to Olduvai Gorge en route to the Serengeti. Game drive through the Park, arriving in time for a late lunch. Full day spent exploring this vast Park. Overnight: Lodge of choice. Leaving after breakfast, you drive to Gibbs Farm for a delicious farmhouse lunch. 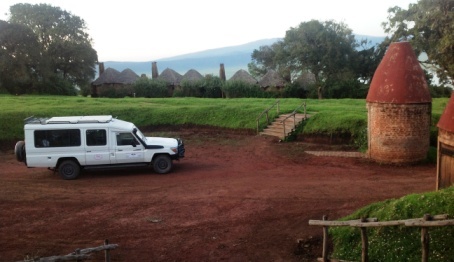 Drive on to Manyara Serena Lodge for the night. Enjoy an evening game drive in Lake Manyara National Park. Overnight: Lodge of choice. Leave after breakfast for a short game drive in Lake Manyara National Park. Drive to Arusha and arrive in time for lunch. After lunch drive to Nairobi arriving early evening. Copyright. 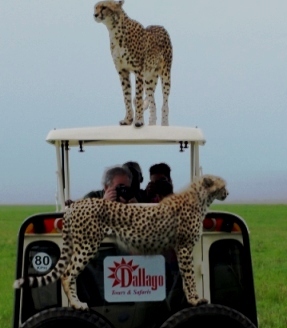 Dallago Tours and Safaris. 2013. All Rights Reserved.